Buyers can purchase a piece directly from your Public Page when you add a sales link from your online storefront (i.e. shopify) to your Pieces. 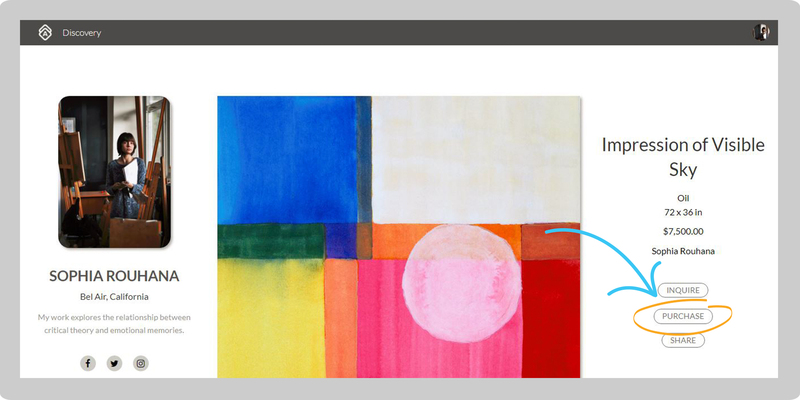 Click on Pieces in the left hand menu and select the Piece to which you'd like to add a sales link. Then click on Edit under the title of the Piece. Scroll down to the Public Info box in the right hand column. 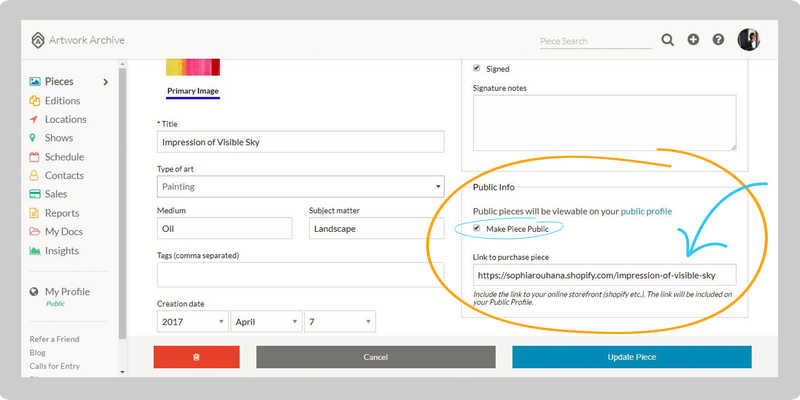 Check the box for Make Piece Public if you haven't already to allow buyers see the Piece on your Public Page. In the Link to purchase piece box, type or paste in the sales link to your Piece. To finish, click the blue Update Piece button below. 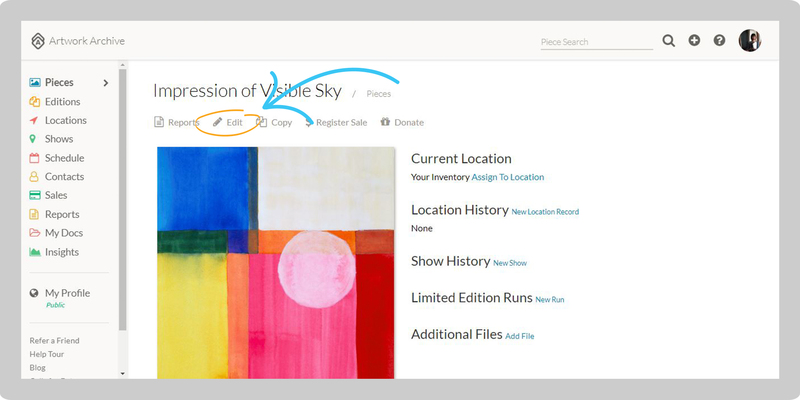 Now when buyers want to purchase a Piece on your Public Page, they can click on Purchase to the right of your Piece. Highlight the link in the Link to purchase piece box and hit delete on your keyboard. Then click the blue Update Piece button below.